Elegant, fresh and delicately fruity, this wine is refreshing on its own and pairs well with a wide variety of foods. It's a classic dry Provence Rosé blending Grenache and Cinsault from vineyards influenced by the sea, sunshine and granite-schist soils. Saleya is named after the flower market in the beautiful French port city of Nice on the shores of the Mediterranean. 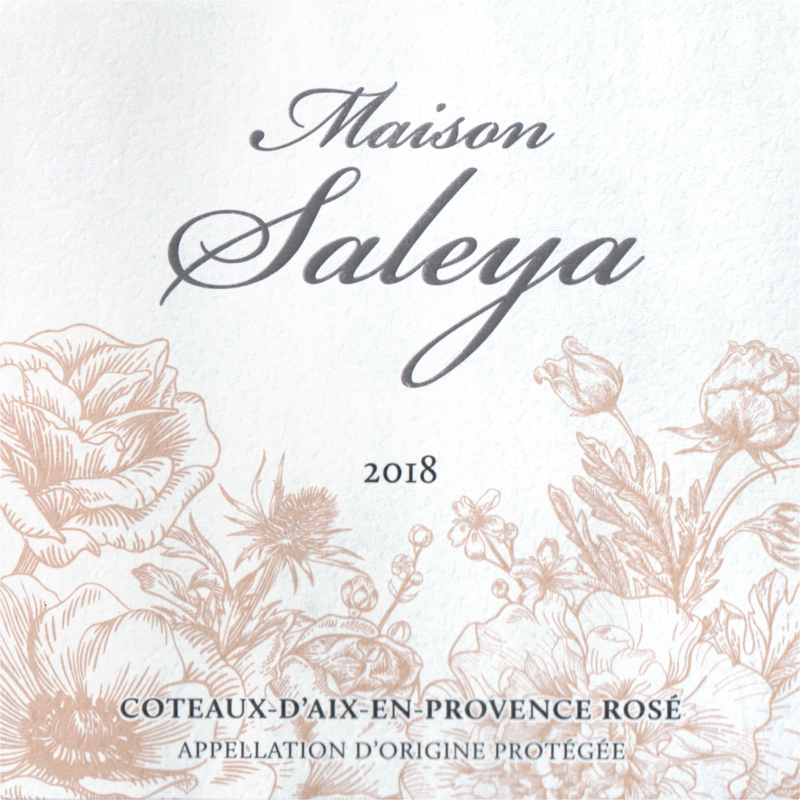 Maison Saleya Côtes de Provence is made from the best selection of plots within the Provence region known for their maturity and their low production to confer specific aromas and flavors to this wine. These plots amidst the garrigue and rocks are influenced by a mixture of sun and mistral. The proximity of the sea, the sunshine and the granitic and schistose specific soil, combined with professional winemakers, allow the development of a great rosé wine. The vineyard is located on a rocky and sandy soil from the breakdown of the underlying mica schist. The stream and lake create an exceptional microclimate for vine growth. The cold and dry winter as well as the hot summer provide excellent maturity. The nose of this wine is floral and fruity with notes of citrus and white-fleshed peaches and lychees. On the palate, this wine is well-structured and rich with nice suppleness. Good acidity keeps the wine fresh and lively in the mouth and leads to a light, but lingering finish that begs for another sip.